For the music Enthusiast, here is the basic learning guide on how to manage or create playlist in iTunes and Transfer to iPhone, iPad or iPod Touch for listen in music app. So first you need to create your favorite playlist by adding songs manually from Mac/ PC or External Drive in Playlist, Otherwise you can edit old playlist by adding more music albums and selected songs one by one. Then move/ Copy/ Transfer all playlist to iOS devices (iPhone/ iPad/ iPod Touch) through sync with iTunes Mac or PC. 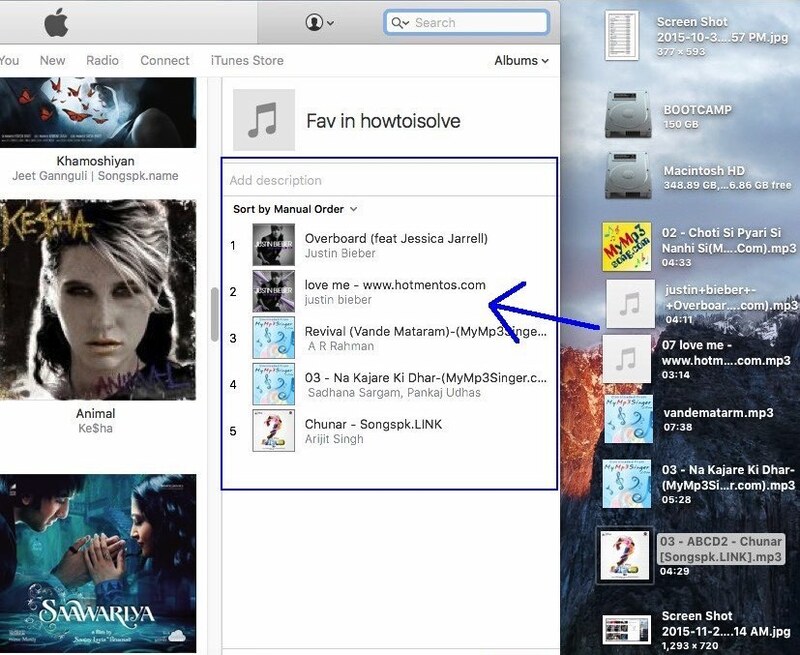 Below steps for Mac and Windows PC users, Running with latest iTunes version. If you don’t have then first update Old iTunes and go through below steps carefully. Step 1: Go to iTunes on your Mac (Spotlight search type iTunes) or PC and Open it. Step 2: At first on iTunes you need to create a playlist in iTunes for iPhone or create a playlist in iTunes for iPod, in the same way. Step 3: From iTunes bottom left corner plus icon, You can create new playlist. or iTunes File > New Playlist. Step 4: Give name of new playlist > Click on Edit playlist. Step 5: Drage all songs in playlist section and Done. Connect your iPhone to iTunes via lighting cable. 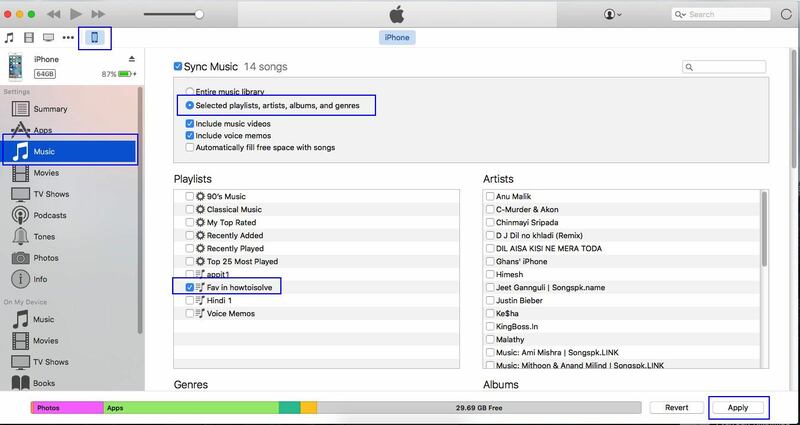 Once you create playlist on iTunes, Sync that playlist to your iDevice. Step 1: Tap on Device showing in iTunes, Then under the iTunes left pane tap on Music. Next, tap on sync for start Copy playlist from iTunes to iPhone, iPad and iPod. Now you can play all songs offline on your iOS device under the music > Playlist tab. hope you enjoy tips on how to create playlist in iTunes and transfer to iPhone, iPad or iPod running on iOS 8, 9. get more troubleshooting tips on Apple music, kindly share on comment box.